Sweet, what version of MacOS is this? Here is my current one! Can you PM me so I can get a copy of this desktop or let me know where you got this. This is great. It'll probably be this way until there are more Leopard wallpapers leaked. I also have that wallpaper i bet if we looked at all the mac user i bet bet loads of us have it, we like to think of leopards release. here is mine. transparent menu w fractal desktop and liger windows. new icons for drives. 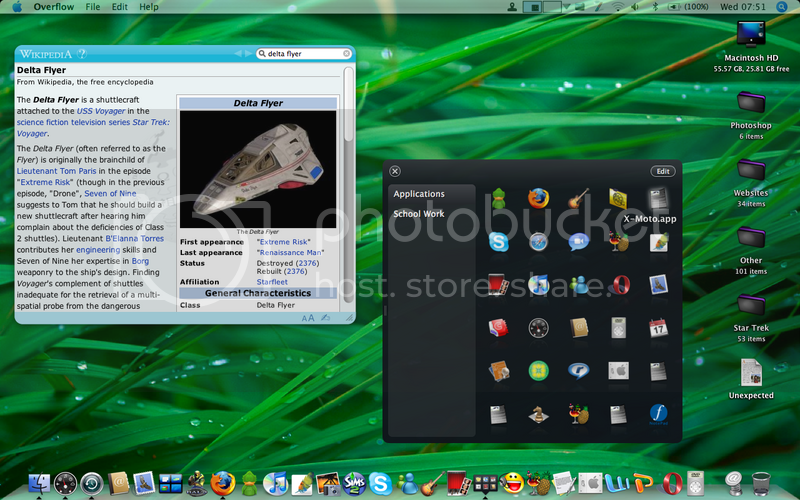 Where did you find the wallpaper, the theme, and the dock? I really want to get these, can you send me links? Thanx! how do you make the menu bar transparent and the dock like it is? Any luck with the wallpaper? if not I could e-mail it? Wallpaper is here http://forums.macrumors.com/showthread.php?t=313574 and it actually has the dock within the wallpaper. Kinda of an optical illusion (I think it looks great, till we have the real thing!). You'll have to search for the right sized dock for for your icons. Oh and you'll have to get an app called ClearDock to remove the "real" dock. Nice app. 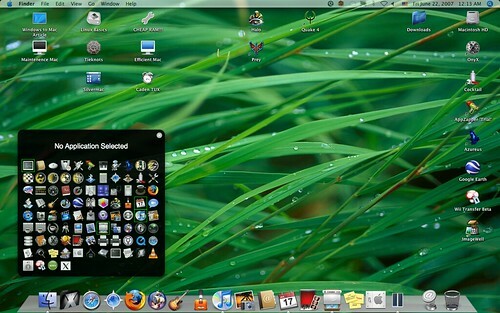 Transluscent menubar is handle by MenuShade at Nullriver.com. Another great little app. App launcher is Todos at OpenSoft: http://www.dbachrach.com/opensoft/index.php?page=Todos. Another POWERFUL little app that lets me see all my apps. 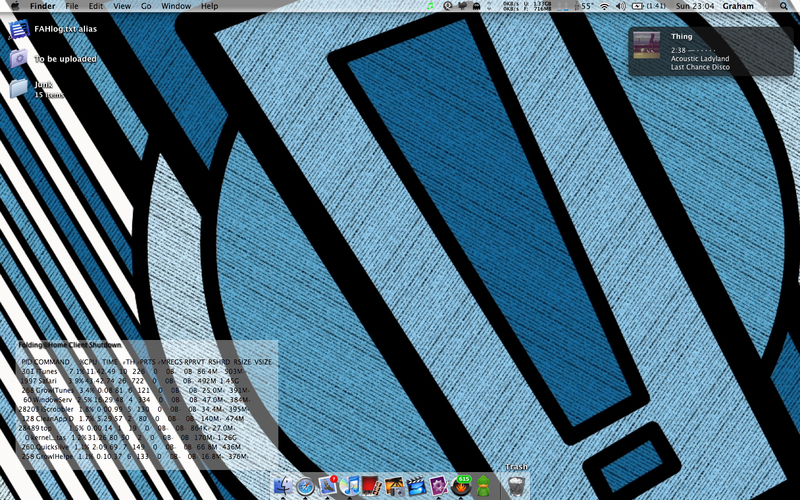 My theme is, surprise, OS X theme that came with my iMac! =D I just swap out icons here and there to fit my mood and serve my memory right. Apps like Menushade, Handbrake, Todos, etc have had there icons change in dock (for aesthetics). OK Thanx! I got it all to work, the only question I have is... I see that you have menu shade on but the app is not on the dock... how can I run menu shade without it down there? Pics of your new Leo desktop? Liger is what I used for my desktop.